critters. While many can appear quite frightening, especially for newcomers to the desert, few are actually harmful. Still none of them are something you want see on the kitchen floor the first thing in the morning. That is why it is best to call Baron Services for a home inspection, for pest eradication, and for regular pest control. Here is a partial list of the critters you might find in Arizona, or your home. The highly aggressive “African” bee population has risen by at least 1,000 percent in Arizona over the course of the past several years. Referred to often as the “killer” bee, this hybrid species is known to defend its hive violently when disturbed, viciously attacking anything in their path. Scorpions are quite common in Arizona, and there are several varieties. In spite of what is shown in movies, few pose serious risks even though all will cause medical problems. 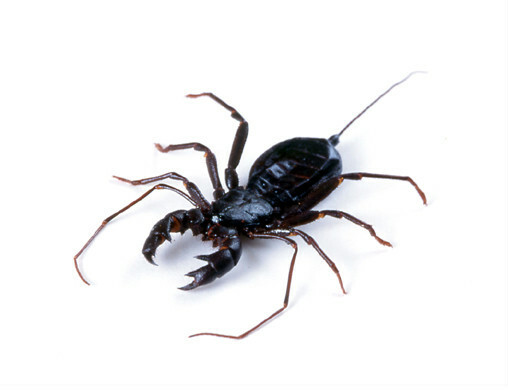 However, the bark scorpion is the most common type in Arizona and it is also the most dangerous. Before you panic consider this; no one has died from a scorpion sting in more than two decades. 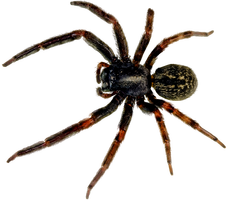 According to the College of Agricultural and Life Sciences at University of Arizona, there are five species of brown spiders in the state. Their venom will usually cause aches and swelling at the site of a bite, and can also cause a necrotic ulcer. Of course the most feared spider, for good reason, is the black widow. The female black widow spider is considered the most venomous spider in North America. Here is a worrisome factoid, the venom of the black widow spider is 15 times as toxic as that of the prairie rattlesnake. The blister beetle is an interesting desert dweller. It excretes an irritant from its joints that causes a blistering similar to that results from exposure to poison ivy. The conenose bug is another fascinating critter that is best to avoid. It typically bites people while they are asleep. As a result, a bit might not be recognized immediately. Symptoms of a bite is swelling at the site, and with excessive exposure may cause allergies that will require hospitalization. The desert centipede is found through most of Arizona as well as the southwest and desert of Mexico. They are carnivorous and typically feed on insects, lizards, and rodents, and their pinch can be painful as well create infections. The desert tarantula is, perhaps the most famous desert spider. It has been a main stay of horror movies for decades. As a result it can be surprising to learn that the hairy, and occasionally huge, spiders are mostly harmless. They may bite if provoked but their belly hairs are the biggest form of protection. When a predator attempts to eat one for lunch, they will find the belly hairs irritating. Baron Services has a combined history of serving the areas pest control needs for more than five decades. Call us today for evaluation and estimate.